It's Wednesday, which means it's time again for our weekly installment of new arrivals. For today's roundup, we've searched high and low to find the best in designer and fast-fashion pieces, all of which just hit stores, so that you can be the first of your friends to wear them. From the Zara boots we think every blogger will wear this fall to the AlexaChung party dress we might just have to splurge on to the Gucci fanny pack that's making us seriously rethink the accessory, we have something for every style type and price point. Now your only problems will be narrowing down your favorites and making room in your closet. 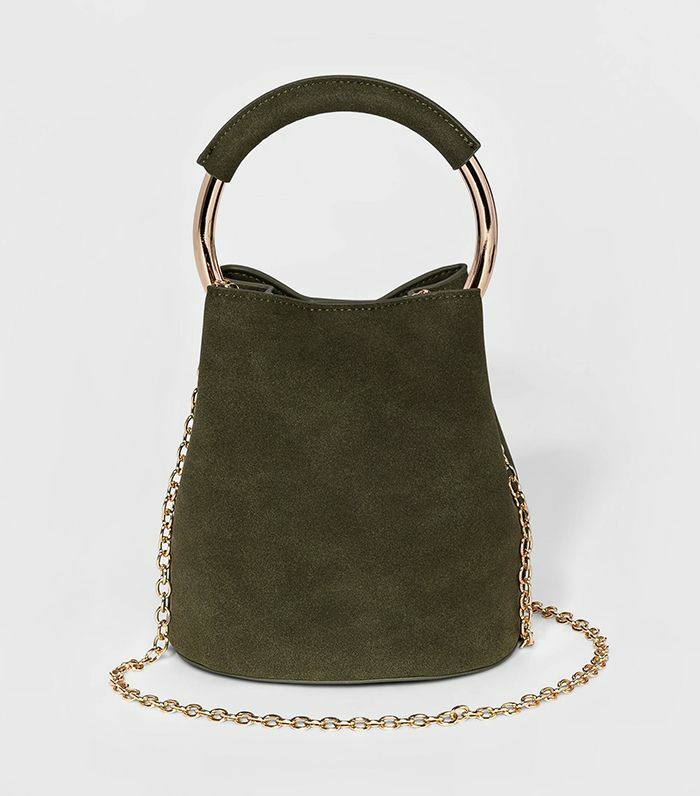 Hunter green goes with everything from black to other colors, making it a versatile bag choice. This under-$50 dress is perfect for summer nights. Are we the only ones who've noticed Tibi's shoes are killing it right now? You'll need to take a close look to see all the details on this cool jacket. Yes, that is a Gucci fanny pack, and yes, we are obsessed. If anyone knows how to make a sparkle dress cool, it's Alexa Chung. Three words: Olivia Palermo approved. Who better to make next-level overalls than the one-piece queen Danielle Bernstein? Pair these with all white for a pop of contrast that still blends in. Wear this from day to night. No one does a statement blouse like Rosie Assoulin. Style this under a blazer. We can't believe these are only $35 either. Guess who just bought this outfit for her upcoming vacation? If this is what Reformation wants us to wear out, this is what we will wear out. We're betting these will be huge in the blogger world. This is one of the coolest sweaters we've seen in a while. Who would have thought the classic graphic tee could get any cooler?